FRANKFURT AM MAIN - The European Central Bank has fined an Italian bank in the throes of a state rescue for breaking rules on risk and disclosing information, the Frankfurt institution said Friday. 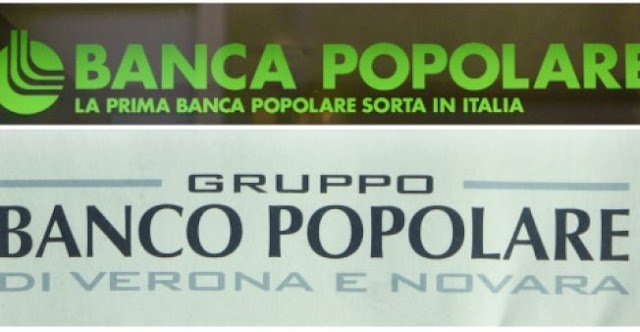 Regulators decided in May to fine Banco Popolare di Vicenza a total of 11.2 million euros ($13.4 million), the ECB said in a press release. Some 8.7 million of the sum was a penalty for the bank missing requirements in quarterly and annual reports in 2014 and 2015. On top of that, the supervisors levied 2.5 million euros over the bank breaching limits on large exposures to risk between December 2015 and March 2016. The rule is supposed to prevent financial institutions making themselves too vulnerable to losses stemming from the failure of a single client or group of connected clients. Popolare di Vicenza is one of two failing banks from the Venice region liquidated by the Italian state in June, ahead of a takeover by the country's biggest lender Intesa Sanpaolo. The firms had been struggling with a heavy burden of non-performing loans -- debts where the borrowers have failed to keep up repayments. Friday's punishment marks only the second time the ECB has used its power to issue fines, through the so-called Single Supervisory Mechanism (SSM). It slapped a 2.5-million-euro penalty on Irish lender Permanent TSB in August for failing to keep enough liquid assets on hand. The SSM branch of the ECB has since 2014 been the top banking regulator in the 19-nation euro single currency area. The European Central Bank has fined an Italian bank in the throes of a state rescue for breaking rules on risk and disclosing information, the Frankfurt institution said Friday.